Having noticed a lot of slow growth with many of my seedlings in the greenhouse I’ve decided that the low temperatures could be a problem. My greenhouse is not completely sealed and in fact the previously all glass roof was replaced with corrugated transparent perspex. This is as much for safety as it is convenience as I live in Avery windy area and roof panes have been know to be blown in before. The unfortunate side effect of the replacement is that there are gaps around the side but in particular big gaps overhead at the apex which is letting out all the heat. 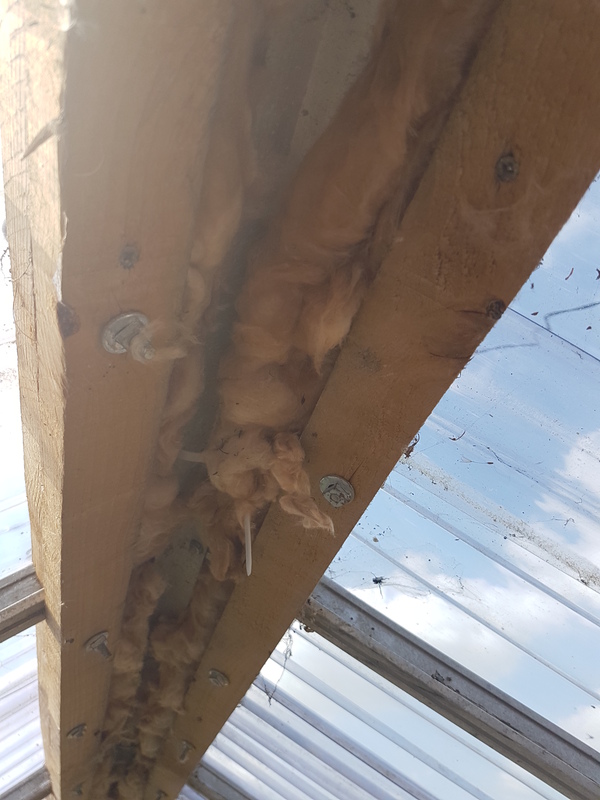 A couple of day ago I managed to scrounge some loose loft insulation and jam it all up into the greenhouse roof gaps. I immediately noticed a difference with the wind and breeze dying down around the inside of the greehnhouse. 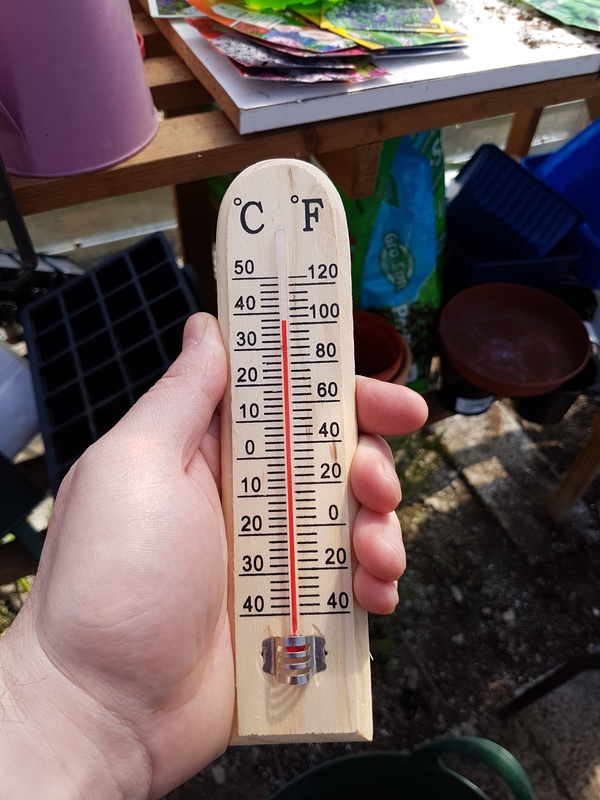 Today ive been checking the tempeartures and even though its a particulhot and sunnty day, temperatures are getting up to 38 degrees Celsius inside the greenhouse. It’s so hot now I’ve been leaving the door open for ventilation. Previously the temperatures on average days were about 10 to 15 degrees. The real test will be when the weather turns again but for now my seedlings in particular the peppers and chillies are enjoying the new found heat.